No matter where you choose to install epoxy flooring, there is one question that is usually asked by those who are looking at its benefits, "Is it scratch resistant?" If you are wondering if epoxy flooring is scratch resistant and how durable it is, here is what you need to know. Epoxy flooring contains several layers of hardeners or resins that must equal a depth of two millimeters to be considered an official epoxy floor. Anything less is just a coating. That alone makes it a hardy material that resists materials that will scratch, mar, break, or crack its foundation. But Is It Scratch Resistant? One of the most important factors of flooring is knowing whether or not it is resistant to scratches. An epoxy coating will last longer than pretty much any other type of coating and epoxy coating by itself is scratch resistant due to the composition of its ingredients. But there are also coatings that make it even more abrasion and scratch resistant such as urethane and a variety of top coatings. 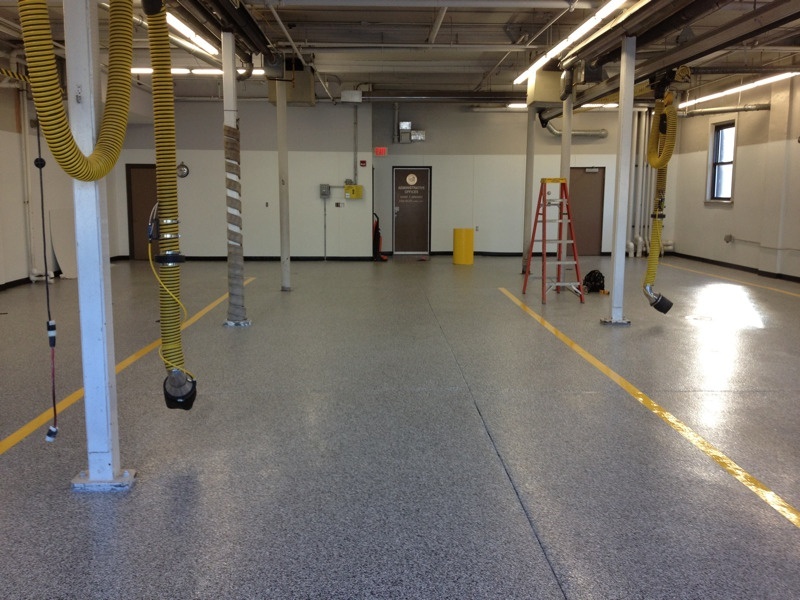 Epoxy flooring is one of the most durable applications available. It is resistant to chemicals, stains, cracks, and scratches. Not only that, but it is the perfect choice where heavy equipment is used because along with everything else - it is impact resistant. 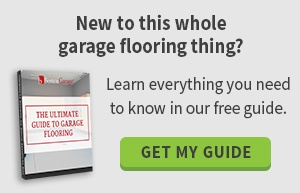 Imagine being in your garage and dropping a heavy tool on your floor or continuously parking heavy automobiles or equipment on your flooring surface. There is a reason why epoxy flooring is the choice of so many. Here's the science behind it. Epoxy floors have a flexural strength of more than 10,000 psi. That's really strong. But you can even add topical coatings to make the surface even stronger. These floors are really easy to replace, too. The advantages of choosing epoxy flooring are vast. It is a safer option for your flooring and a greener choice as well. One of the major benefits though is the ease of maintenance. Just water alone will clean it easily and even for major spills, adding a bit of ammonia to the water should suffice. Last but not least, the price of installing epoxy flooring is extremely competitive when compared to other types of flooring and best of all, it will last for years. If it is taken care of properly, you can expect your flooring to last at least 5 to 10 years, sometimes even more. If you want a strong, durable floor that is not only scratch resistant but also will last for years, choose epoxy floor coating — it's one of the strongest floor surfaces out there. Click here to find out more and get a free garage optimization quote today!